Mariana embarked upon a career in finance during 2004 at UBS International. Young, eager to learn, and a fascination with domestic and international markets fueled her passion for professional banking. Earning a degree in business administration and finance while training at UBS taught her the value of hard work and dedication. Exposure to equity/fixed income markets provided a strong financial foundation for all facets of investment management and her operational duties taught the importance of detailed execution. 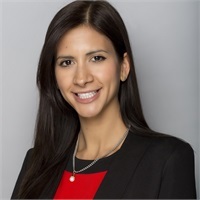 In 2008, Mariana joined Deutsche Bank along with her team from UBS I. As an Assistant Vice President the team depended on her for opening accounts, timely trade execution, and relationship management. They recognized Mariana’s strong ability to develop personal relationships and so began her foray into wealth management. Targeting Central/South America as well as domestic business helped her understand each client has their own unique financial needs. Catering to the investment goals of a client while balancing their own individual risk tolerance and time horizon is her life’s work. She joined Loyola Asset Management as Vice President and Wealth Advisor in 2016. The move to an independent firm was natural for Mariana. She now has the freedom and flexibility to access to a full range of solutions for the Ultra High Net Worth and Institutional Client, all while delivering superior personal attention. Mariana’s ability to demystify complex financial matters for her clients is one of her greatest gifts; Quarterbacking the asset acquisition/allocation process while sourcing experts in other areas cement her as a trusted advisor. She was raised in Caracas, Venezuela, her family moved to Miami, FL in 1999. Mariana enjoys spending time with her closely knit family. She is married with 2 daughters. Mariana holds the Series 7 & 66 licenses.